FIBKA Snr., BBKA Snr., N.D.B. Clive has been a beekeeper since the 1960’s. He is one of the best-known and respected beekeeping authorities in Britain and Ireland. Based in Essex, he runs over 100 colonies for queen-rearing, honey production and pollination. He is a prominent member of the Bee Farmers’ Association, where he has been the Education Officer since 1982. As well as being a bee farmer Clive has studied, worked and presented papers within an international forum for many years and done much work in third world countries. In addition, he has written several books including the indispensable “Practical Beekeeping”. Lecture Title: Bees and Forage. Professor of Planting Design and Vegetation Technology. Director of The Green Roof Centre, University of Sheffield. Nigel’s work revolves around a pioneering approach to planting design and the integration of ecology and horticulture to achieve low-input, dynamic and diverse, ecologically-tuned landscapes. He has worked on many major innovative, large scale projects in both Europe and North America. The lead horticultural and planting design consultant for the London 2012 Olympic Park, Professor Dunnett also designed the RBC Rain Garden at The London Wetland Centre, as well as main show gardens for The RHS Chelsea Flower Show (2009-13) winning Gold earlier this year. ‘The Diamond Garden’ at the Queen’s Gallery in London, is his most recent commission in celebration of Her Majesty’s Diamond Jubilee. Major areas of focus include green roofs, rain gardens, pictorial meadows, and naturalistic planting design with pollinators in mind. 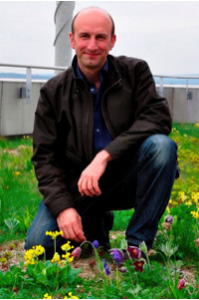 Lecture Title : Pollinator meadows at the Olympic Park and other projects. Professor of Biological Sciences, University of Sussex. With a passion for wildlife from a young age, Dave has over 20 years experience in the studies of ecology and bio-diversity. 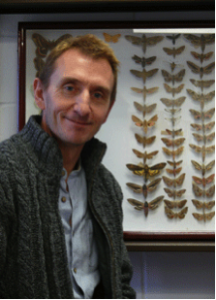 He has published over 200 scientific articles on butterflies, bees and other insects. One of the UK’s most respected conservationists and the founder the Bumblebee Conservation Trust in 2006, his groundbreaking conservation work won the Heritage Lottery Award for Best Environmental Project. 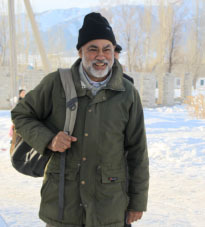 He was made ‘Social Innovator of the Year’, by the BBSRC 2010. Marsh Award for Conservation Biology 2013 L.Z.S. Fellow of the Royal Entomological Society, Fellow of the Royal Society of Edinburgh, his new book, published this spring, is titled “A Sting in the Tale”. Lecture Title : Impacts of neonicotinoid insecticides on bees and the wider environment. 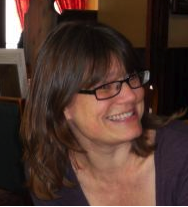 Alison Haughton is the lead scientist of the Pollination Ecology Group, studying the ecology and behaviour of pollinators (bumble and honey-bees, hoverflies and butterflies) in the modern farmed landscape. She is currently working on the study of forage availability and the nutritional value of pollen in relation to biomass short rotational coppiced willows and mass flowering crops for pollinators. Her research interests are driven by her aim to conserve and enhance farmland biodiversity, and its associated benefits, to create more sustainable agro-ecosystems. She has published many academic papers over 18 years. Invited lecturer in Spain, South Africa and Poland, she was Scientific Advisor for the Royal Horticultural Society (Plants for Bugs) 2009. Lecture Title : The Nutritional Importance and Value of Mass-Flowering Crop Varieties to provide forage for Pollinators in the Modern Agricultural Landscape.